Oxford resident Chance Tetrick has gained another supporter in his fight against leukemia—former Rebel defensive tackle Jerrell Powe. You may have read some of our HottyToddy.com articles about 10-year old Chance and how he has developed a close bond with the current Rebel football team and staff. 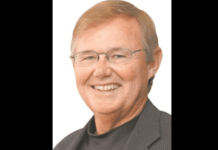 To be able to read the previous stories on Chance click on the name of the articles A Young Rebel Fan’s Courageous Battle, Oxfords Chance Tetrick Enjoys Meet the Rebels Day and Fins Up for Chance. 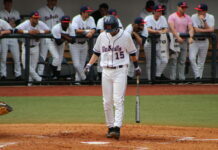 But as news of Chance’s courage and fortitude spreads, it is also touching the lives of former Rebel players like Powe. 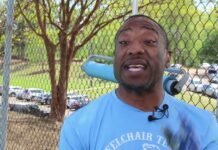 Last Friday, Powe placed a surprise call to Chance to offer the boy his thoughts and prayers. 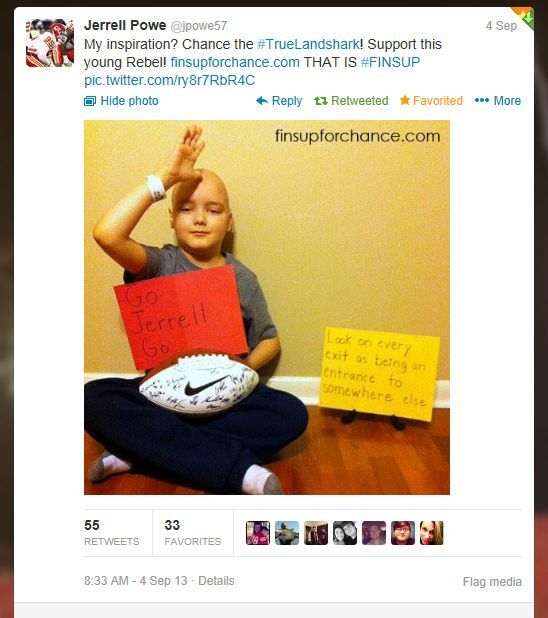 Chance soon responded on Twitter with a picture of himself throwing up the Landshark sign, made famous by late Rebel player Tony Fein, to show his support for Powe and his NFL career. The “Fins Up” sign is used by Rebels to signify their fighting spirit and relentless pursuit—two characteristics shared by both Powe and Chance. Chance says, “Go, Jerrell, Go!” in a picture his family posted on Twitter. In a Twitter post today, Powe added a picture of himself working out, and expressed his support of the young boy and the vigor with which he is battling his illness. 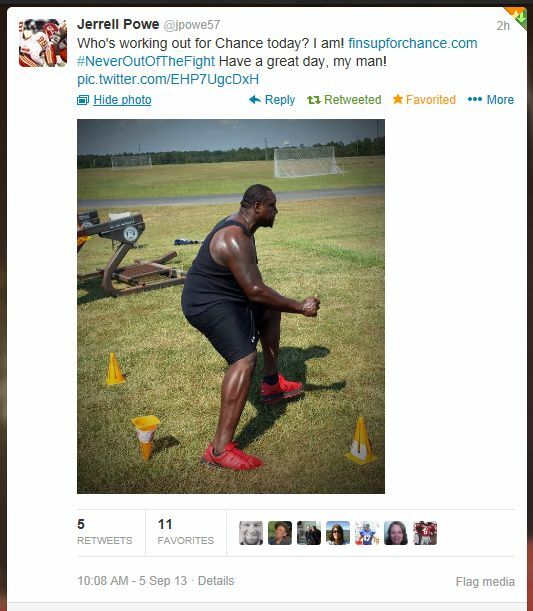 “Who’s working out for Chance today?” he tweets. “I am!” he answers. He also posted the website, FinsUpForChance.com, where people can go to learn more about Chance, as well as how to contribute. Powe sends a message of encouragement to Chance via Twitter. If you would like to help support Chance Tetrick, please visit his website at FinsUpForChance.com, where you can make a donation, buy a ticket to the upcoming September 16th Benefit Dinner and Silent Auction, or learn other ways you may contribute. Evelyn was born in Texas, but has strong family ties to Mississippi. Her relatives are from Hinds County, and her daughter received three degrees from Ole Miss–culminating with a PharmD in 2012. Evelyn studied English at Texas A&M University, but is an Ole Miss Rebel at heart, falling in love with the both the school and Oxford over a decade ago when her daughter began school. Evelyn has a home in Texas, but spends as much time as possible in Mississippi where her daughter still lives. She enjoys covering Ole Miss football for gridirongirl.org and HottyToddy.com. Email her at olemissevie@gmail.com.